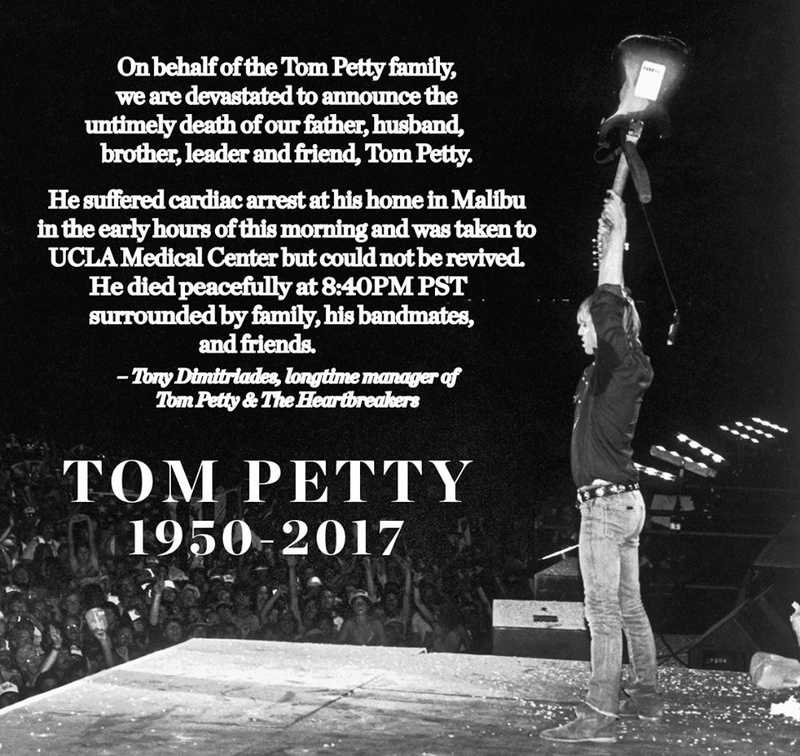 Rocker Tom Petty suffered full cardiac arrest today. He was taken to UCLA Santa Monica Hospital, and, though apparently still alive, shows no brain activity and was taken off life support. He is 66. This was so sad. Loved his music.